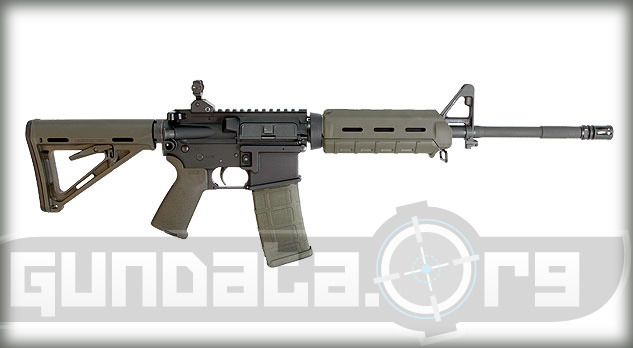 The Sig Sauer M400 Enhanced Olive Drab Green is a semi-automatic handgun designed for military, law enforcement, hunting, along with competitive shooting purposes. 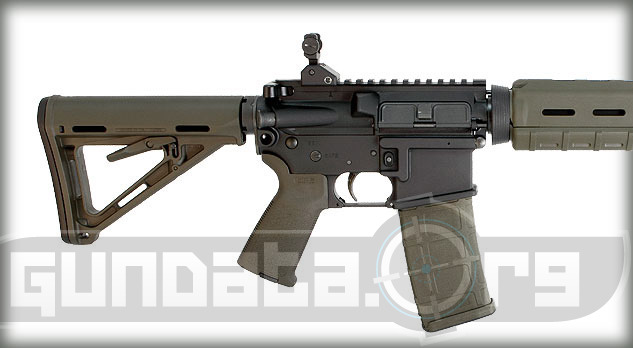 It is a legal civilian version of the military's M4 tactical rifle with a few changes and different features. The barrel is 16-inches long with a chrome lined and is phosphate coated to help ensure it does not corrode. 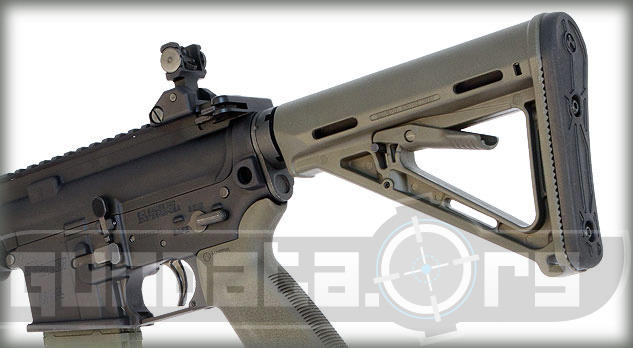 It has a 7075-T6 aircraft grade aluminum forged lower receiver. The frame has a sight rail for mounting accessories such as a red dot sight, laser sight, or prismatic sight onto it. It also has an ambidextrous magazine release for right or left handed shooters. 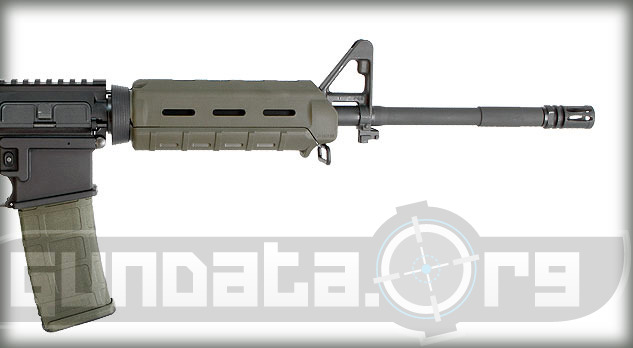 The overall length of the M400 Enhanced OD Green is 32.3-inches with the stock retracted, and a length of 35.6-inches with the stock fully extended. It has a barrel length of 16-inches with a 1 in 7 inch twist. The magazine is a AR-15 style Magpul PMAG 30-round magazine that holds 5.56 x 45mm NATO (.223 caliber) ammunition. The rear sight is an A3 adjustable flip-up sight, and the front is a "F" marked front sight post. The trigger pull is approximately 7.6-pounds of pressure. The grip, stock, and for-end are finished in OD Green, while the upper and lower receiver are black hard coat anodized.